Lucas Muecas are scrumptious sweet n’ sour candies that kids will love, they are perfect to hand out at parties or as Halloween treats. These watermelon flavored lollipops come with a tangy chili powder that will leave your tongue tingling with flavor. your kids will have endless fun savoring this sweet confection and dipping it in the spicy powder. Watermelon flavored lollipops with chili powder. Fun tongue shape with each pop. 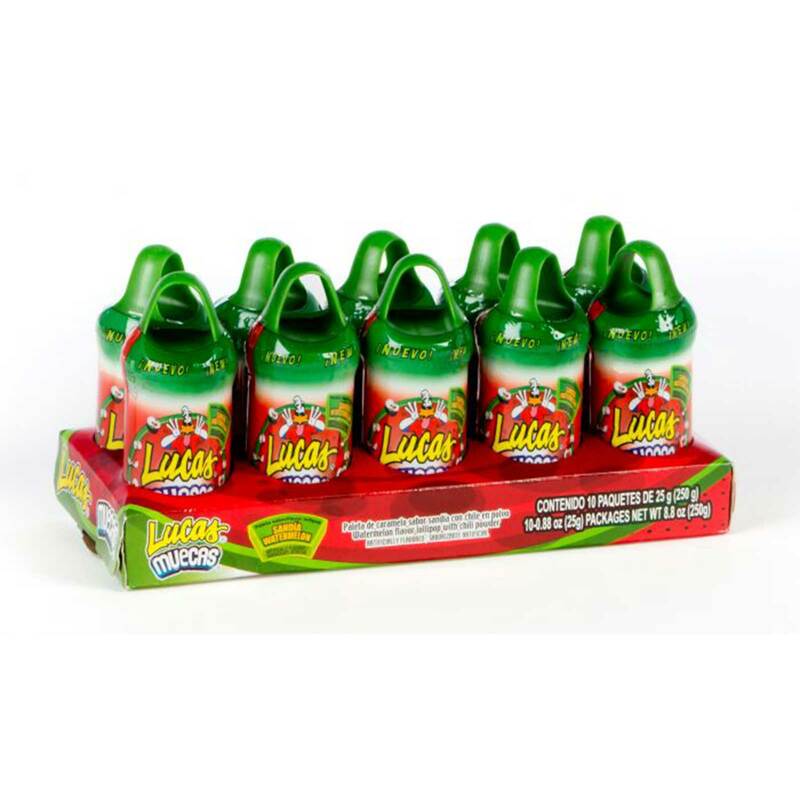 Order MUECAS SANDIA 10 CT in bulk at wholesale at Volt Candy Online. SOUR PUNCH 24CT BLUE RASPberry Blue Raspberrry Sour Punch Straws are sweet candy straws covered with a delicious sour coating. SOUR PUNCH 24CT STRAWBERRY Sour Punch strawberry straws. Sour straws with a great outrageous strawberry flavor. You will enjoy and be happy.